Home » Events » Paper Summit SPECtactular will not be a dirty job! Paper Summit SPECtactular will not be a dirty job! From the Baltimore Opera to QVC shopping channel, Executive Producer and TV Host Mike Rowe has had hundreds of jobs and relished his role as a chronic freelancer. He’s best known as the “dirtiest man on TV,” a title he earned on the hit TV series Dirty Jobs, where he completed 300 different jobs traversing all 50 states and transformed cable television into a landscape of swamps, sewers, and coal mines. He has narrated hundreds of documentaries about space, nature, dinosaurs, serial killers, and how stuff works. He has also forged a handful of partnerships with iconic brands and filmed a boatload of Ford commercials. Most recently, Mike launched The Way I Heard It, a weekly five-minute podcast of short mysteries for the curious mind with a short attention span. In the podcast, Mike gives a different take on people and events that you thought you knew, from pop culture to politics, Hollywood to history. 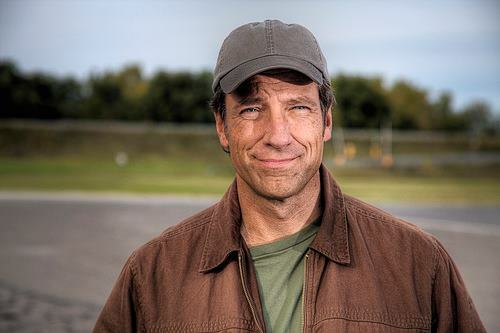 In his spare time, Mike runs the mikeroweWORKS Foundation, a 501(c)(3) public charity that provides a pile of free money to people getting trained for skilled jobs that actually exist. Mike speaks regularly about the country’s dysfunctional relationship with work, widening skills gap, and challenging the persistent belief that a four-year degree is automatically the best path for the most people. Through its scholarship programs, the Foundation has helped grant more than $3 million in technical and/or vocational education for trade schools across the country. As a part of your registration fee for the Paper Summit SPECtacular, you will be allowed access to this exciting session that is part of the ISRI Convention! Registration details to come soon. Please be sure to keep checking back with our website, paperstockindustries.org or the isriconvention.org for further updated information! Comments Off on Paper Summit SPECtactular will not be a dirty job!